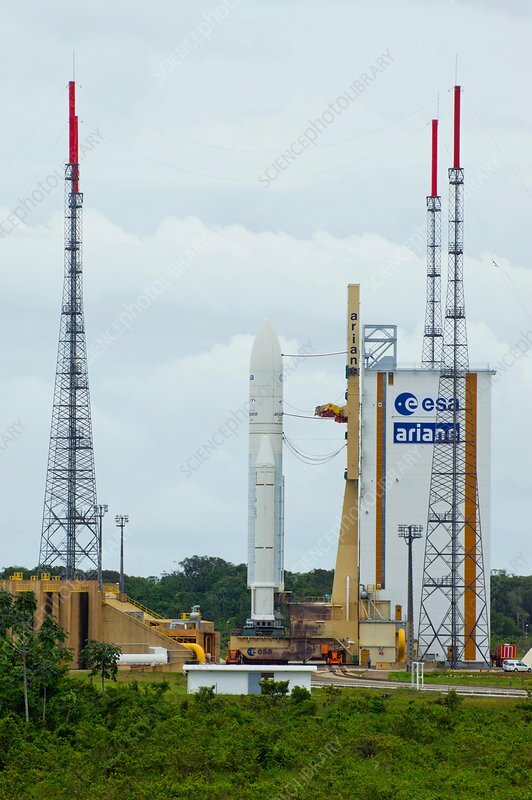 A view of the Ariane 5 rocket launch pad at the Guiana Space Centre (Centre Spatiale Guyanais, CSG) near Kourou, French Guiana, with a rocket awaiting lift-off. The four red-tipped towers form the lightning protection system. The tall structure at right is a water tower to deluge the pad at lift-off.